Are you suspecting pregnancy and don’t know which kit to use for accurate results? There is a variety of pregnancy tests in the market today. Even though, how do you determine the best? Understanding how over the counter pregnancy tests work, will give you an insight on which test kit to buy. How is pregnancy test sensitivity determined? How do I know which pregnancy test to buy? How accurate is an early test? Is it necessary to have blood tests for confirmation? What can affect a pregnancy test? Home pregnancy test is engineered to test or detect the presence of a pregnancy hormone called Human Chorionic Gonadotropin (hCG) in your urine. This hormone is first released into the bloodstream and later on secreted into urine. The home pregnancy tests are not able to detect the hCG hormone as soon as it is secreted. Even though some pregnancy tests may claim to give accurate early pregnancy results, you may have a reason to dismiss that, when you understand how to pregnancy tests work. 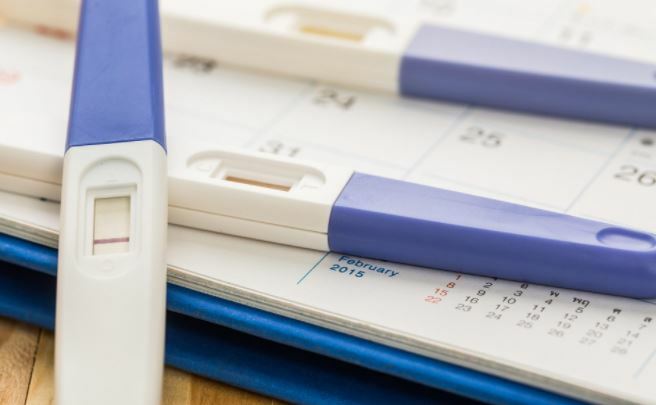 False-positive results are common with early pregnancy tests. For actual results, you should consider waiting until you have missed your period or noted some early pregnancy signs. Pregnancy tests are sold over the counter meaning that you do not need a prescription from your doctor for purchase. They are also available on online platforms. How early should I test for pregnancy? A much early pregnancy test is unlikely to be accurate. If you want accurate test at home, timing is the key. A fertilized egg takes 6-10 days to implant itself in the uterus after ovulation. The best pregnancy test detects pregnancy hormone 9 days post ovulation, 5 days before your period. Pregnancy tests do not work the same. Some can detect hCG in small concentrations than others. This means that you can know that you are pregnant, with the slightest hCG in your body. Pregnancy tests report hCG concentration in milli-international units (mIU) per milliliter. For example, a pregnancy testing brands with 30mIU/ml can detect pregnancy earlier that of 40 mIU/ml. Additionally, depending on the brands you choose, you may note blue or red lines on the strip. Some reveal a plus (+) or a minus (-) sign, while the rest change the color of urine sample into the indicated color. Digital pregnancy tests can show the words `pregnant’ and `not pregnant,’ also some of these can show how long ago you conceived. However, it is important to note that the digital pregnancy test could be more expensive than the manual ones. Whether you choose a manual or digital testing kit, you should be able to get accurate results. The body starts producing the hormone hCG in small amounts after implantation has taken place. The most sensitive tests should test at least 5mIU before showing positive results. Those that can pick the least amount of pregnancy hormone are said to be more sensitive than the rest. For example, one that can pick 6Miu/ml is more sensitive compared to one that can pick 25MmIU/ml. This is to say that the lower this unit of measurement is, the more sensitive the pregnancy test is. Most pregnancy testing kits in the market have a sensitivity of about 25mIU/ml, meaning that are more accurate 10-15 days after implantation has occurred. This is a day or two after your missed period. However, for those women who cannot wait until a missed period to take a pregnancy test, there are early pregnancy tests that are sensitive and equally accurate. It is recommended that for accurate results you test as close to a missed period as possible. If a pregnancy test on the day of the period turns negative. This is undoubtedly one of the best pregnancy brands in the market today. It is has a sensitivity of 6.3mIU/ml. The good news is that it can give you results 6 days before a missed period. It is the best pregnancy test to buy when you feel you could be pregnant before your missed period. It shows one pink line when the result is negative and two when it is positive. According to research, first response is able to determine 80 percent of pregnancies 5-6 days before a missed period. Its accuracy increases as you get closer to your period and even better after a missed period.it is the best pregnancy test before a missed period in the market today. This is one of the most affordable sensitive pregnancy tests. It has about 5 test kits in one pack to enable you test as much as you can until you are satisfied with the results. It has a timer on the bar, to help you see how much longer you have to wait for it to display the results. Additionally, it is effortless to read, it shows `pregnant’ or `not pregnant’ on the result bar. Clear blue pregnancy kit has an absorbent tip which you should urinate on or immerse in a jar of your urine. It has a timer to show when you should know the results but then it may not take more than 4 minutes on average. It has a sensitivity level of 25Miu/ML which makes it quite sensitive. A clear blue home pregnancy test is able to show results as early as four days before your due period. During this time it is just 52 percent accurate, which means that you are likely to get a false negative. When used a day before your period, its accuracy rises to 96 percent. It is 99 percent accurate when the pregnancy test is taken on the period day and days after. Clear blue digital can say` yes’ or` no ‘during the home pregnancy testing, which makes it much easier for you to interpret. As if not enough, this pack comes with a week estimator, it simply shows you how many weeks you have been pregnant. These strips are more common in a medical set up. They resemble a litmus paper. It is cheap making it suitable for anyone who wants to test regularly. Additionally, it is very easy to use. If pregnant, two lines will appear, if not, a single line is likely to appear. Wondfo detects pregnancy after a missed period. You can use this test if you are patient enough to wait until then. However, there are claims that the test is also accurate 2 days before a missed period. This is the best pregnancy test for those women who would prefer digital tests. It is embedded with an hourglass icon to display its working status. It simply displays a plus sign (+) to show you are pregnant and a negative sign (-) to show that you are not pregnant. These features make it easier to use since no interpretation is required. A typical pack has 3 strips to enable you to repeat the test to guard against false positives. The result is usually displayed with either a plus sign (+) pregnant or negative sign (-) not pregnant. This kit features advanced hormone detection technology, which enables it to gain 99 percent accuracy from the day of your due period. It also gives 78 percent accuracy when used 5 days before a missed period. Research has shown that the first-morning cloudy urine has a high amount of human chorionic hormone. If you wish to take an early pregnancy test, consider using the morning urine, you are likely to get accurate results. From 7 days after a missed period, the hCG hormone triples in its levels, and you can choose to take a test at any time of the day. All the pregnancy tests are accurate when instructions are followed to the latter. If you are in doubt of accuracy, you might want to buy two different brands. However, you must remember that some of this testing kits are sensitive than others. An early pregnancy test might result in a false negative. A false negative means that there is not enough hormone to test for pregnancy but in the real sense you are pregnant. Occasionally women who are on fertility drugs may get a false positive pregnancy result as because of the elevated hCG hormone in the body. There is little need for confirmatory blood tests. The pregnancy tests are accurate and reliable if used as instructed. However, you may choose to go for blood tests after a missed period, and a home pregnancy test is negative after 7 days. Taking a pregnancy test very early. The pregnancy hormone takes time to be secreted into urine. An early pregnancy test is likely to give false results. Reading a pregnancy test at the wrong time could also lead to inaccurate results. The pregnancy test equipment should not be let to be warm. Again, protein in urine or pregnancy hormone from another factor could lead to false positive results. Some anti-depressant medications such as chlorpromazine trigger release of hCG into the blood and later in urine. This could give you a false positive result. You could also get a false positive if you happen to take fertility pills containing hCG.